Five-year-old Willie J Rey, by Dual Rey, scored 220 points on Friday under Walt Erwin, for Charlie and Denise Seiz, to win the Augusta Futurity Classic Open championship. Tank Tallic, shown by Austin Shepard for Jan Newman, scored 217 points for reserve, while HR Cats Starlight, placed third with 215.5 points under Tarin Rice, for E.J. Huntley. Willie J Rey LTE $55,324 won the 2017 Southern Futurity Open championship and was a 2017 West Texas Futurity Open and Non-Pro finalist. The Dual Rey gelding’s dam, Cat Black I LTE $208,229, carried Denise Seiz to win the 2013 NCHA Super Stakes Classic Amateur championship, as well as the reserve amateur championship of the 2013 Tunica Classic, and was also was shown by Randy Chartier, as an NCHA Open World Top 10 finalist in 2016 and 2017. Willie J Rey is Cat Black I’s first NCHA money earner; his full brother, Unreysistable LTE $1,073, was a 2018 NRCHA Futurity Amateur finalist. Walt Erwin, the NCHA earner of $573,093, also placed fourth and sixth in the 2019 Augusta Futurity Open Finals riding Olena Shes Metallic, 2018 Cotton Stakes Open Intermediate winner with Erwin, and Smooth Pepto Pistol, a 2018 NCHA Futurity Open Limited finalist under Erwin. Both horses are owned by Mark Senn. Six-year-old Tank Tallic LTE $51,530, by Metallic Cat, won the 2017 Ike Hamilton Futurity Amateur championship with Joel Colgrove and earned money in open limited age events with Austin Shepard and Sean Flynn, as well as in non-pro divisions with Madalyn Colgrove. Owner Jan Newman showed the Metallic Cat gelding to place in the amateur unlimited division of the 2018 Southern Futurity Classic. HR Cats Starlight LTE $200,413, by High Brow Cat, won the 2017 Brazos Bash Open under Tarin Rice and claimed the reserve championship of the Breeders Invitational the same year. Christina Huntley placed fourth on the gelding in the 2016 NCHA Futurity Amateur Finals and would go on to show him for wins in the 2017 West Texas 4-Year-Old Futurity Amateur and the 2018 Abilene Spectacular Classic Amateur. Christina’s father, E.J. Huntley, also rode HR Cats Starlight to win the 2017 Cattlemen’s Non-Pro Derby. In addition to HR Cats Starlight, Rice also showed Ms Shuga Rey, by Kit Kat Sugar, and Smooth Lil Cowtown $120,657, the 2017 NCHA Futurity Non-Pro reserve champion with Brandon Westfall, as 2019 Augusta Classic Open finalists. Ms Shuga Rey is owned by Hyde McAlister and Smooth Lil Cowtown, by Smooth As A Cat, is owned by Crockett Sand and Gravel. Tarin Rice also won the Open 40 with CR Gotcha Covered, sired by Dualin Boon and owned by Joel Colgrove. Rice showed Colgrove’s colt Lil Woody Cat and E.J. Huntley’s Double Flash Cat as finalists in the Augusta Futurity Open Finals, as well. Jody McGlothlin, Perrin, Tex., showed last year’s Augusta Futurity Classic Open champion, Somethingtobelievein LTE $205,242, to win this year’s Augusta Classic Non-Pro title with 222 points. Joe Howard Williamson, the NCHA Hall of Fame Non-Pro earner of $1,387,865, claimed reserve with 215 points aboard Hott Dawg LTE $20,686, while Jordan Vaughn, riding Juan In A Million, and Ali Good, on Sneakish, tied for third with 214 points. Good would return on Saturday to place as reserve champion aboard Sabrina Boon in the Augusta Futurity Non-Pro. Six-year-old Somethingtobelievein, by Hydrive Cat, won the 2018 Augusta Classic Open with 224 points under Jody’s husband, Brett McGlothlin, who also showed Somethingtobelievein in the 2019 Augusta Classic Finals, and placed second to earn $7,000 with her in the any-age Augusta Futurity 40 Open. In addition, McGlothlin also placed third in the Augusta Futurity 40 Open riding Cattalou, owned by W.S. “Billy” Morris III. Jody McGlothlin, the NCHA earner of $206,336, won the 2016 NCHA Futurity Non-Pro Limited with Somethingtobelievein and went on to win the Cotton Stakes, the Southern Futurity and the Brazos Bash non-pro limited championships in 2017. On Saturday, McGlothlin also placed in the Augusta Futurity Non-Pro aboard Redhead From Denver, a Metallic Cat daughter, shown by Brett as an Open finalist, as well. 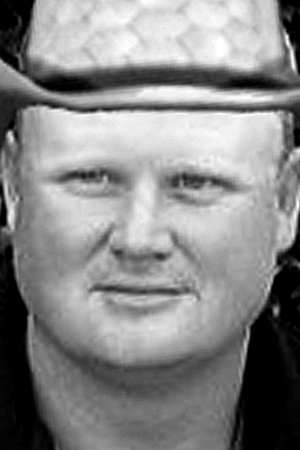 Joe Howard Williamson, Wichita Falls, Tex., has won the NCHA Non-Pro World Championship standings four times and finished as a Top 10 finalist 20 times since 1996. Williamson purchased Hott Dawg, a 5-year-old gelded son of Hottish, from Jordan Vaughn, Forsyth, Ga., less than two weeks before the 2019 Augusta Classic. Vaughn’s mount, 6-year-old Juan In A Million LTE $40,975, by Spots Hot, carried Vaughn, the NCHA earner of $224,114, as a finalist in the 2017 Augusta Futurity Non-Pro finals, as well as to the championships of the 2018 Southern Futurity Classic Unlimited Amateur and the 2018 AQHA Congress 5/6 Non-Pro Finals. Ali Good, Ringling, Okla., the NCHA earner of $148,391, first showed Sneakish, by Hottish, as the 2017 NCHA Futurity Non-Pro Limited champion. The pair also earned money as non-pro finalists in the 2018 West Texas 4-Year-Old Futurity and the 2018 AQHA Congress Futurity, as well as in the non-pro limited finals divisions of the NCHA Derby and the Cotton Stakes. Good, also showed Cat Atat Cat, by High Brow Cat, to win non-pro championships of the 2018 NCHA Western Nationals and the 2018 NCHA Eastern Nationals $25,000 Non-Pro. In addition, Good and Cat Atat Cat placed second in the 2018 NCHA World Non-Pro Finals and seventh in the Non-Pro World standings.